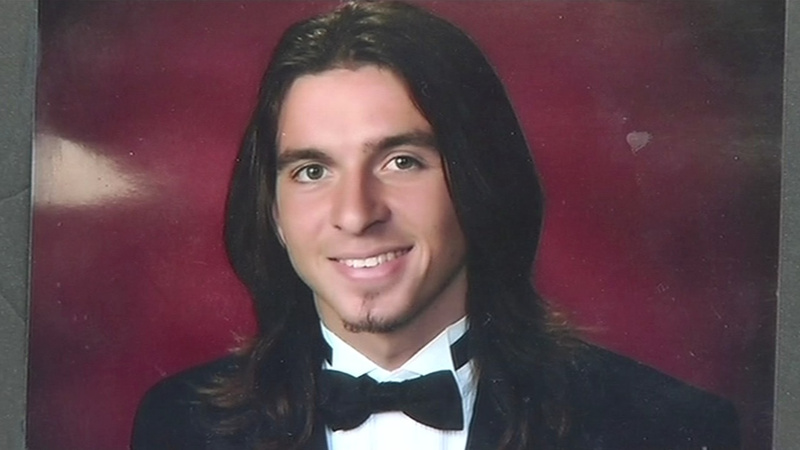 PLEASANTON, Calif. -- Police suspicions that a man shot and killed by a Pleasanton officer in July had been using drugs proved unfounded, according to an independent report released by attorneys for the man's family Thursday. Investigators had searched the home of 19-year-old John Deming Jr.'s mother following the July 5 shooting looking for evidence of drugs likely to cause psychotic behavior, among other things, according to the search warrant. They had apparently suspected Deming was under the influence of drugs because, according to the police account, Deming violently attacked Officer Daniel Kunkel and shrugged off a Taser twice before Kunkel shot him. 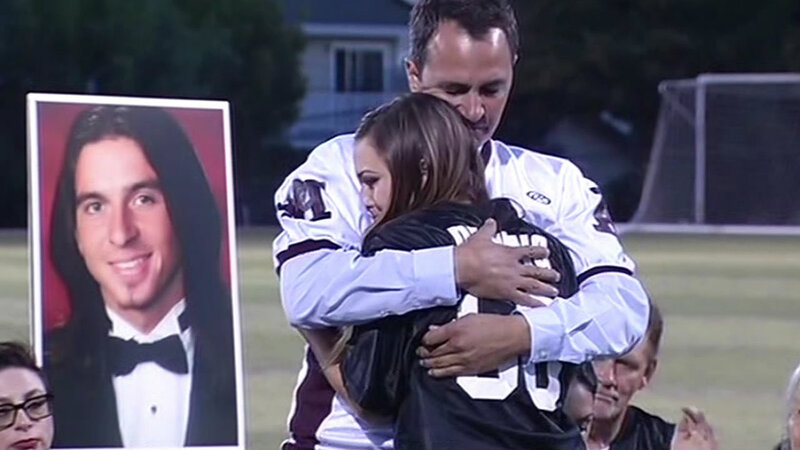 At Piedmont Hills High School in San Jose friends and family paid tribute to John Deming Jr., who was shot by police in Pleasanton. 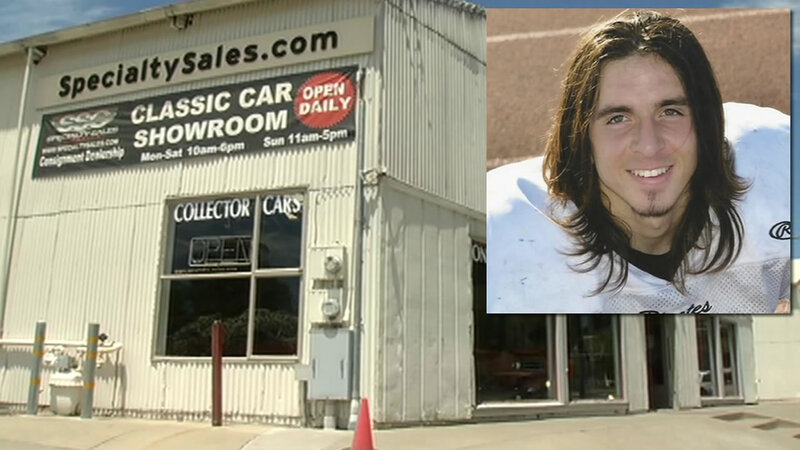 Deming was found at about 2 a.m. that morning when police responded to reports of a burglary at Specialty Sales Classics, a car dealership specializing in antique and exotic cars at 4321 First St. Still inside the dealership, police said Deming threw a 50-pound floor jack threw a window, fled into the back of the business when officers fired bean bag rounds at him, and then escaped out the back. When Kunkel followed him, Deming attacked him, police said. He could not be subdued by a Taser and even continued his attack after he was shot once, according to police. But an independent examination of liver, brain and kidney tissue as well as bone marrow "did not reveal any positive findings of toxicological significance," according to an Aug. 24 report signed by forensic toxicologist Edward Barbieri. High-profile Los Angeles law firm Geragos & Geragos, hired by the family shortly after the shooting, ordered the independent tests. The firm has accused Pleasanton police of covering up the facts of the shooting and lying about the circumstances. The attorneys filed a claim against the city last month. A deputy with the Alameda County coroner's bureau said official autopsy results are not likely to be made public for months. Pleasanton police Lt. Jeff Bretzing declined to comment on the independent results. John Deming Junior was shot and killed by police early Sunday morning. The incident happened as police responded to an alarm at a Pleasanton car dealership and new details about what led up to the shooting are emerging. In the claim against the city, the Deming family's attorneys also wrote that other independent examinations of forensic evidence indicate Deming hadn't been hit with a Taser and was not shot at close range. Police said Deming was hit with a Taser twice and shot while he was on top of Kunkel, pummeling his head. The attorneys have also called attention to early discrepancies in the police account. Police initially said Deming was found outside the car dealership but later said he was inside the business but visible through its large glass windows. The Alameda County District Attorney's Office is continuing its investigation and has not yet made a decision as to whether Kunkel will face criminal charges for the shooting, spokeswoman Teresa Drenick said today. Kunkel was placed on administrative leave following the shooting. Bretzing declined to say today whether he has returned to duty. The family's attorneys have also questioned Kunkel's fitness to be a police officer, saying he sued the Antioch Police Department for emotional stress while he worked there before joining the Pleasanton department and experienced trauma as a U.S. Marine during the Iraq War.